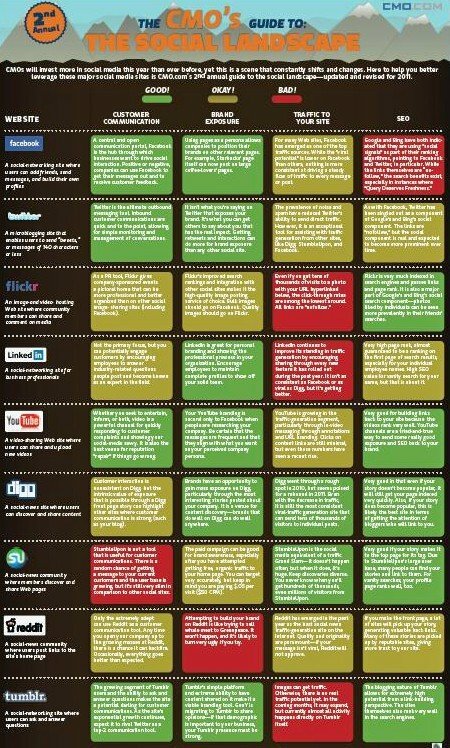 Which Social Networks Benefit You the Most? Brands, marketers, and small businesses are poised to spend more money on social media marketing this year than ever before. The simple fact is that social media marketing is big business, and your company can gain a lot from leveraging social networks to increase brand exposure, conversions and new customers. But not all businesses are the same, and not every brand requires the same outcome to be considered successful. With that in mind, steer clear of self-proclaimed social media gurus who will give you cookie-cutter advice that you don’t need. The true effectiveness of a social media campaign begins by asking yourself, what am I trying to achieve with social media engagement and how will I measure success? Maybe you want to increase your SEO, maybe you want to increase brand awareness, or maybe you simply want to increase your customer engagement. Different social media networks and tools will be more or less effective in creating each of these outcomes. The trouble is finding the right tools to achieve the outcomes you desire. 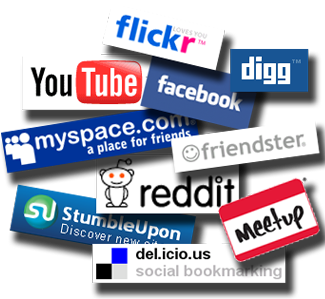 With so many networks and social tools, which one will be right for your brand? CMO.com and 97th Floor recently produced a great infographic (below) that serves as a great overview for a number of social networks and how they can affect your customer communication, brand exposure, and site traffic. This infographic lists a number of positive and negative attributes for the most popular social networking sites and tools, but how can we apply this information to specific businesses and their desired outcomes? Let’s take a closer look. Customer Communication: Most social networks are great for customer communication, especially the big ones—Facebook, Twitter, YouTube, and Tumblr. That’s what these networks were built to do, so it is no wonder that they are the best avenues to pursue when attempting to create more brand interaction with your customers. Brand Exposure: The same goes for brand exposure. If you are trying to “get your name out there” and build some recognition, the big networks are the place to go. In addition, sites like Digg and StumbleUpon can help drive some massive traffic to your site and help spread your name around a bit, but they are unpredictable and you never know when or if they will hit your website. Site Traffic: The downside of most social media sites is that they don’t tend to drive a large portion of their views to your actual site. In some cases they can; for instance, if you post a link on Facebook or Twitter that leads to a blog within your, those types of links can drive traffic. But pictures, status updates, polls, and more won’t drive people to your site. (Although they will increase your brand engagement.) Particularly bad for driving traffic are Flickr, LinkedIn, and Tumblr. As well, you may see people refer to StumbleUpon or Digg as great traffic drivers. The truth is, they can drive massive amounts of traffic to one page of your site (generally a blog post), but the traffic will generally be short lived and won’t have a lasting effect on your site ranking. SEO: Late last year, Google and Bing announced that links shared on Facebook and Twitter are taken into account when determining page rank. In fact, a recent case study found that a link shared by a high-ranking Twitter user had a profound and lasting effect on site traffic and page rank. Another recent study confirmed that Twitter RTs and Facebook Likes could propel a brand new site to ranking status on Google within a week—given the right factors. In reality, backlinks are backlinks. And whenever you can get a backlink placed on a popular website, you’ll give yourself an SEO push. Particularly good sites: Flickr, YouTube, Tumblr, Digg, and StumbleUpon. Overall, most social media sites offer some type of benefit to users whether it be SEO or simple brand exposure; however, LinkedIn and Reddit offer some of the least benefits to marketers and small business owners trying to leverage social media. If you’re looking to get the most out of your social media campaign, stick to the bigger names, and you’ll get better benefits across the board. Social media marketing works so well because it allows you to target users in specific ways and creates ease of use for spreading information between interested parties. If you haven’t created a social media presence yet, start today and begin to reap the benefits social media has to offer your brand.